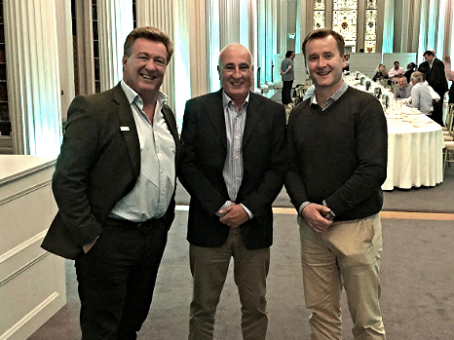 Pictured: Mark Sheeran, MD @ CJS, John Diskin, Sales Manager ECC Teo and Fergal Moran, Business Development Director at CJS at the TIMCON AGM in Edinburgh September 3rd & 4th, 2018. We have received excellent feedback on our previous issues (all of which are available here: Issue 1, Issue 2 and Issue 3). In case you missed them. Don’t hesitate to send us your industry related comments or queries directly to newsletters@cjs.ie as we would love to hear from you. 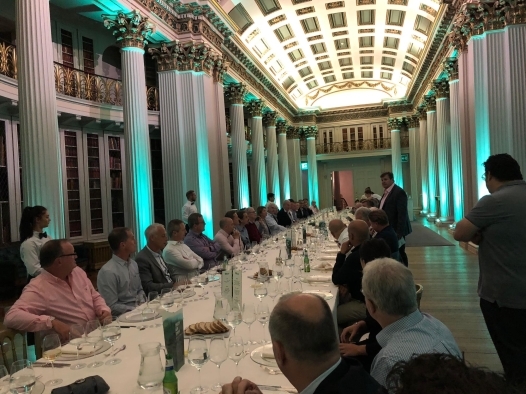 CJ SHEERAN were in attendance at the TIMCON Annual General Meeting held in the Signet Library & Hilton Edinburgh Carlton on the 3rd & 4th of September. 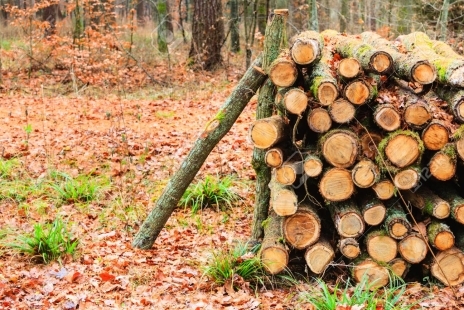 Timber availability and prices were high on the agenda with TIMCON stating that the shortage of small sized logs is showing no signs of abating. 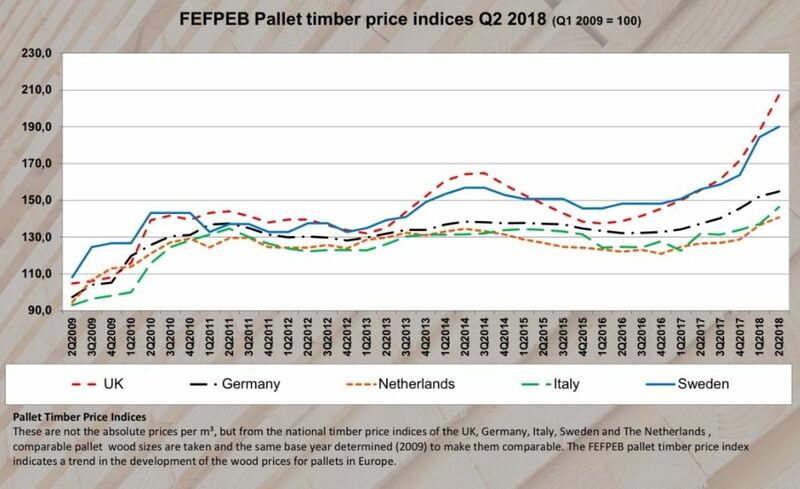 In the meantime, we are working in close conjunction with our customers and reminding the supply chain that wood is still by far the most cost-effective choice of material for packaging and pallets. It is also the most environmentally friendly and a spread of recent media coverage about plastic packaging means that more people and companies are taking positive action and are now insisting on sustainable options. 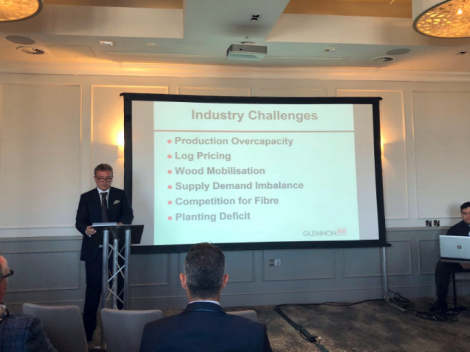 “CJS have good security of supply of timber and are relaying that security of supply of pallets to ensure that there are absolutely no stoppages at any our of customers’ production lines”, said Fergal Moran, Business Development Director at CJS. “We have also successfully worked through a number of collaboration projects from process improvement to product redesign, resulting in greater efficiencies from both cost and production perspectives”. 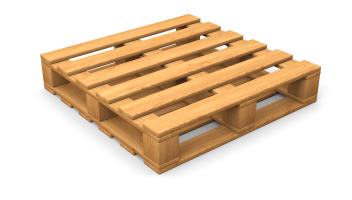 Mark Sheeran, Managing Director added “Additionally, we can offer alternatives to new pallets with recycled, reselected and hybrid options”. Did you know that CJS operate their own fleet of delivery vehicles? 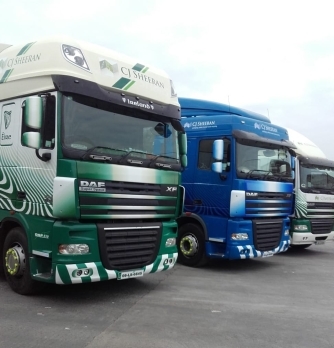 Currently comprising of 18 articulated units, 4 rigid units and 60 curtainsided trailers, our Logistics Division is headed up by Logistics Manager, James Ryan and supported by a team of dependable, conscientious and experienced drivers. “By operating our own Logistics Division we maintain complete control over our deliveries and collections guaranteeing excellent logistical execution – on time every time”, says James. CJS trailers rarely travel empty. 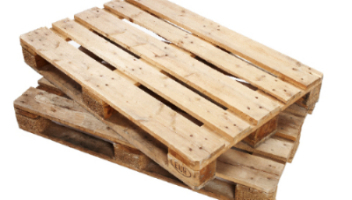 Upon the delivery of a new or recycled load of pallets, CJS take a return load of used and broken pallets for recycling from either the same customer or a customer in very close proximity. CJS can also place trailers on customers’ sites to stockpile waste pallets and then can switch once full. “Our trucks aren’t allowed back in over the weighbridge unless they have a full return load for repair”, jests Mark Sheeran, MD of CJS. “It’s their tariff”. 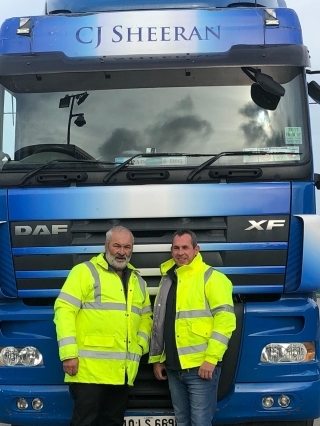 Pictured: Tim Conroy, Veteran Head Driver at CJS and James Ryan, Logistics Manager. 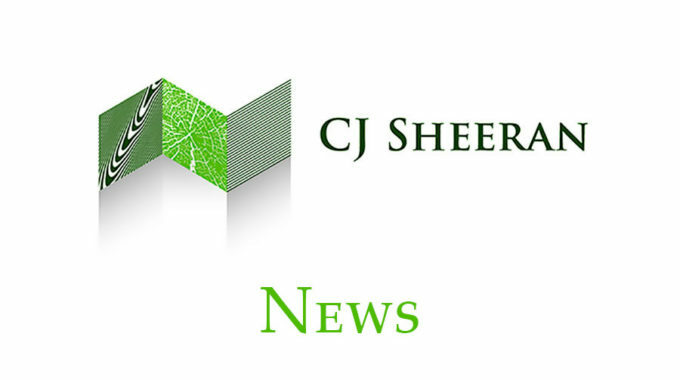 CJS have further strengthened their commitment to carbon neutrality by launching their ‘Going Green in 2019’ initiative which will also coincide with the company celebrating 25 years in business next year. Initiatives cited range from subtle changes to significant investments such as rainwater harvesting, converting all of the company’s plants to LED lighting, reducing and potentially eliminating the use of plastic consumables and the installation of biomass boilers to fuel the company’s kilns which will be powered by residue from the pallet manufacturing divisions. 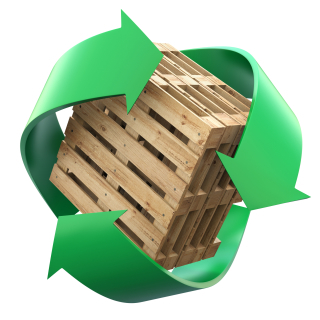 The environment has become a core concern, which is indeed positive news for the wooden pallet and packaging industry. 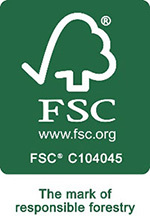 The wood consumed by CJS in pallet manufacture is all produced sustainably and is FSC® certified. It absorbs carbon as it grows and stores it in the products that CJS make. 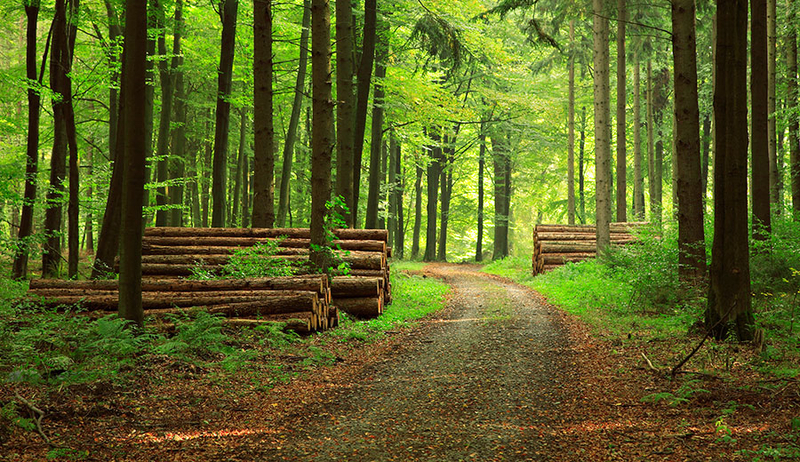 The company’s operations also ensure that the lifecycle of the wood is extended to its absolute maximum. “Sustainable manufacturing has always been high on our company’s agenda. All of our products are recoverable, reuseable, repairable and recyclable”, says Ashleigh Doyle, Director at CJS. “We are now ramping this up even further by analysing our processes as well as the supply chain and have implemented a number of initiatives to further reduce our carbon footprint and also that our our suppliers and customers”. CJS has won a number of awards throughout the years for their green initiatives such as the Green Awards: Waste to Business Resource Award, Mayo Business Awards: Green Business of the Year, Midlands Gateway Chamber of Commerce: Best in Business Green Initiative Award and the Repak: Packaging Recovery Operator of the Year Finalist. 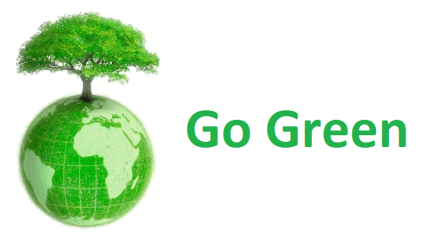 Follow the CJS Green Journey on Twitter, Facebook and LinkedIn – you’ll find links below. 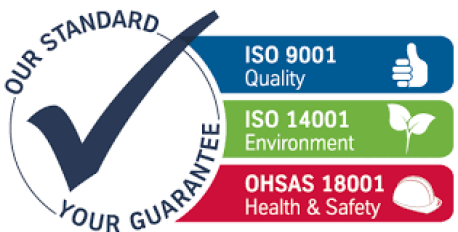 CJS have successfully transitioned to the new ISO9001 (Quality) and ISO14001 (Environmental) Standards and are now focussing on the transition from the Health & Safety Standard OHSAS18001 which is being replaced by the recently launched ISO45001. 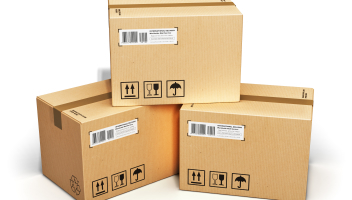 As Ireland’s only pallet manufacturer to hold all 3 coveted core ISO certifcations, CJS believe such certifications are fundamental to delivering a top quality, compliant and unrivalled product and service. “We are very proud of our certifications here at CJS”, syas Eithne Hendricken, QESH Manager. “We are always looking ahead to what’s coming down the track for the industries that we supply to ensure that we are ahead of the curve and are able to meet our customers’ needs with ease”. CJS also have their sights on the ISO50001 Energy Standard and are already working on adding this to their portfolio of certifications by 2019. 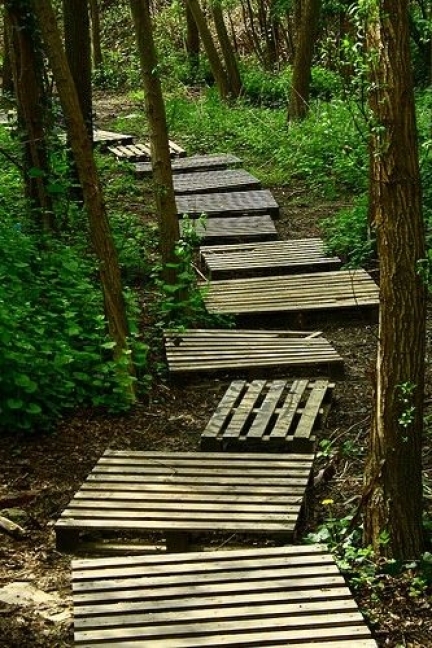 The company’s green agenda is to the forefront of their business objectives, having recently launched their ‘Going Green in 2019’ initiative which will see the company strive towards carbon neutrality. 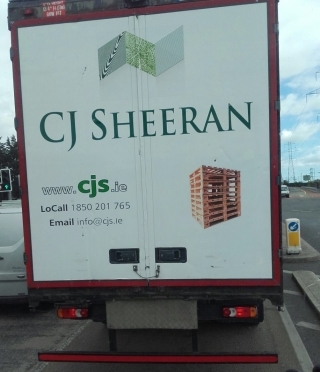 CJS are Ireland’s largest manufacturer and recycler of timber pallets, supplying major multi-national bluechip companies across a broad range of industries from Food and Drink, Pharmaceutical, Medical Device, Agri-Business, Technological and General Manufacturing. 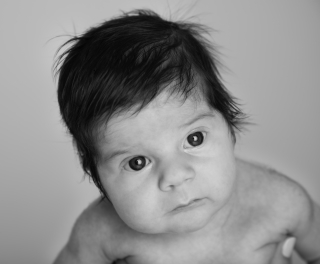 Baby Georgia joined the CJS team over the summer born at a healthy 8lbs during the height of the heatwave. Congratulations to our Director, Ashleigh Doyle, her husband Michael and Georgia’s older siblings Evelyn (6), Rosalie (5) and Sebastian (1).